There are now five million fewer farms in the U.S. than there were in the 1930s and of those remaining, almost 40 percent of the farmers are at least 55 years old. Without new farmers to replace them, the future of U.S. farming is not at all certain. While interest in small acreage farming and ranching increases each season, many of these new farmers have few opportunities to gain the skills needed for success. The award-winning Cultivating Success series of courses were developed to help fill that need, and make the connection between farmers new and old. First in the series, the 12-week course Sustainable Small-Acreage Farming and Ranching helps participants explore the unique advantages available to the small farm and ranch owner. Sponsored by WSU King County Extension, King County, and King Conservation District, the course gives participants a broad overview of production and marketing options for today’s small farm. Whether you are just exploring the opportunities available or already have an existing operation, you’ll learn what it takes to create, sustain, and grow a viable small farm enterprise. Weekly presentations include local growers, organizations, and university specialists with expertise in direct marketing, value-added processing, production planning, agronomy, livestock production, and more. In addition, there will be a Saturday field trip to nearby farms to learn about different styles of successful small farm enterprises. Class size is limited and pre-paid registration is required. Visit SSFAR.eventbrite.com to register online or download this form and mail with your check. For more information on the course, contact Kate Ryan, kate.ryan@wsu.edu, (425) 357-6024. Extension programs and employment are available to all without discrimination. Evidence of noncompliance may be reported through your local Extension office or to the WSU Center for Human Rights. Reasonable accommodations will be made for persons with disabilities and special needs who contact Karie Christensen at (425) 357-6012 or christensen4@wsu.edu at least two weeks prior to the event. Current and future small- to mid-scale farmers and ranchers and those considering farming as a career and/or lifestyle. 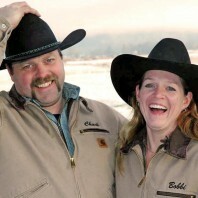 Learn how West Valley Beef ranchers Chuck and Bobbi Lindemulder came to be supporters of Cultivating Success.